The Human Resource Generalist responsible for the implementation, support and administration of company policies and procedures for the office located in Chicago, IL. Complete HR tasks under the direct direction of the HR Manager. The primary responsibilities for this role will be support the company's operations in all areas of HR such as benefits information, maintaining records coach managers on the implementation of company policies and procedures and employment laws. The role coordinates and communicates with levels of employees in the organization which requires strong interpersonal skills. This role calls for a high degree of professionalism and requires that the employee maintain strict confidentiality as it relates to employee and contractor information. 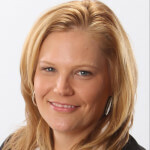 Laura has over twenty years of experience in the recruiting and staffing industry. An integral part of creating and developing ExecuTeam’s Healthcare division, Team1Medical, Laura became President in 2013. Her collaborative approach creates long lasting professional relationships while providing the highest level of service to clients. With a Bachelor’s degree from the University of Houston, Laura still remains active with alumni functions. Laura has served ten consecutive years on the executive board of HAAPC – Houston Area Association of Personnel Consultants including two years as President.